For a whole host of reasons, this week hasn’t exactly been an easy one. My mental health has definitely taken a kicking, and I’m pretty sure I could do with approximately 31,000 hours of extra sleep. But despite all that, this last week has been one of the most exciting ones in a long time, with lots going on – something my overactive brain has been more than thankful for! I LOVE a good West End production, but very rarely get round to seeing any because of a) money, and…actually the money aspect pretty much covers it. This week, though, I saw not one but TWO incredible musicals. The first, Aladdin, was for my friend Jess’ hen do. I’ve wanted to see it for a while and it didn’t disappoint, with almost three hours of fun and nostalgic sing-a-longs. The second was Hamilton, which was a show I’ve had tickets to since Christmas. After I had the crappiest year on record, my friends from a previous job all contributed towards buying me a ticket, which led to the greatest (and one of the happiest!) shocks of my life. 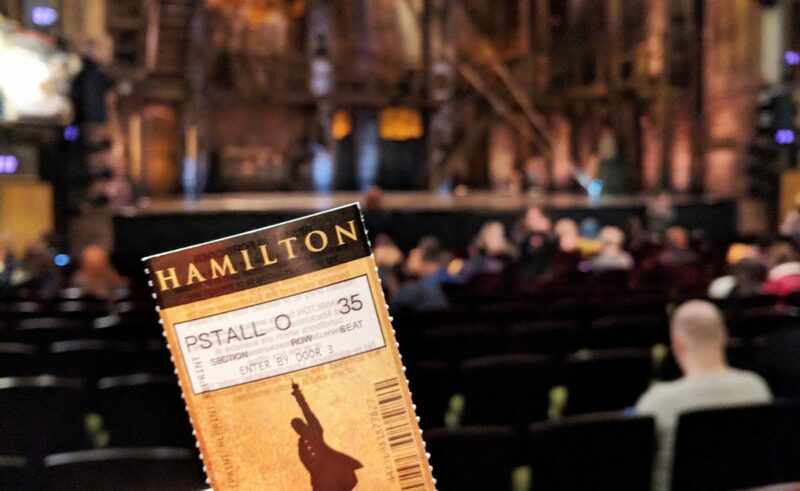 I deliberately went into Hamilton relatively blind (I only listened to the soundtrack once), and I was absolutely blown away by the singing, the acting, the dancing…everything! I’ve had the soundtrack on repeat ever since, and I’m desperately entering the lottery every day to win tickets to see it again. If you get the chance to see any musical this year, definitely see Hamilton! 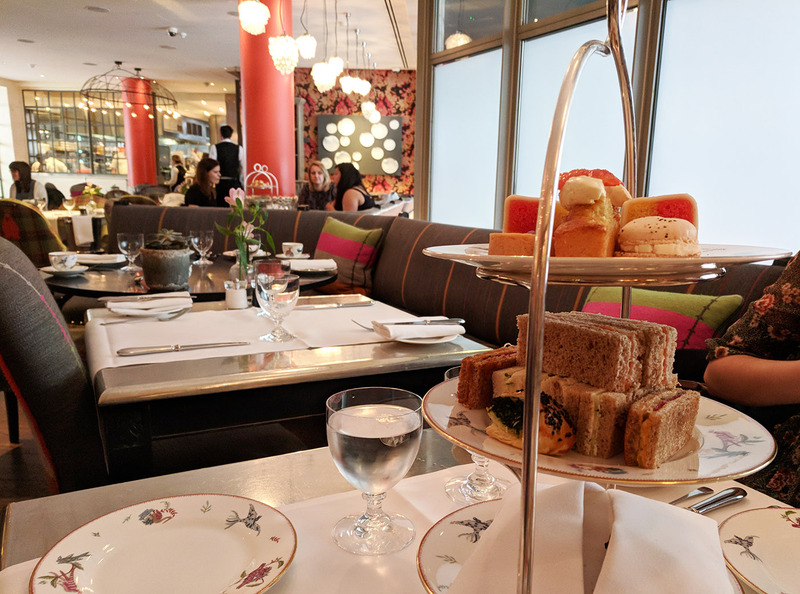 As part of Jess’ hen do, a few of us met up at The Soho Hotel for an afternoon tea. With all the usual scones, sandwiches and cakes, it was definitely a strong offering from this 5* hotel! Strong decor game, too. One of the things I’ve really enjoyed this week is just having evenings in with Ian, watching Friends and playing video games together. 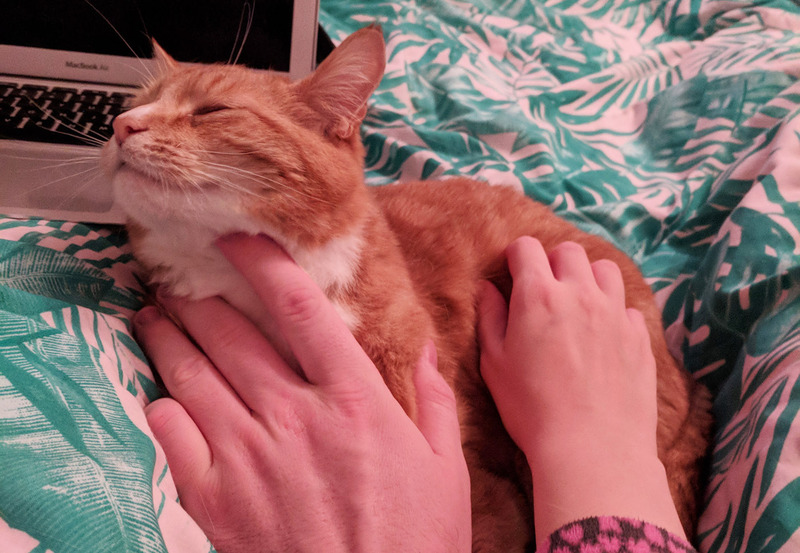 Spending time with my loved ones means so much to me, and I savour every minute I get to spend with Ian and the cats. It definitely helps relax me, and helps keep my thoughts a lot more stable! Talking of thinking… running has been my lifesaver this week. I’ve been out for two long runs and having that freedom to move and just “be” has boosted my mood no end. I cannot recommend exercise enough if you’re ever feeling a bit crappy. It really helps change my perspective; I hate my mind and my thoughts controlling me, so I like to push myself physically to prove to myself that I do have some control in my life. I don’t chase numbers like others do, but I was so happy to get a 10k PB (which includes a ginormous hill that’s been the bane of my life recently!). Seriously, conversations about the crappy weather were getting SO DULL. Now we can mix our conversations up by talking about how BBC Weather has forecasted 20-degree ++ temperatures next week!! I need to get better at exploring more of London, especially the areas close to me. 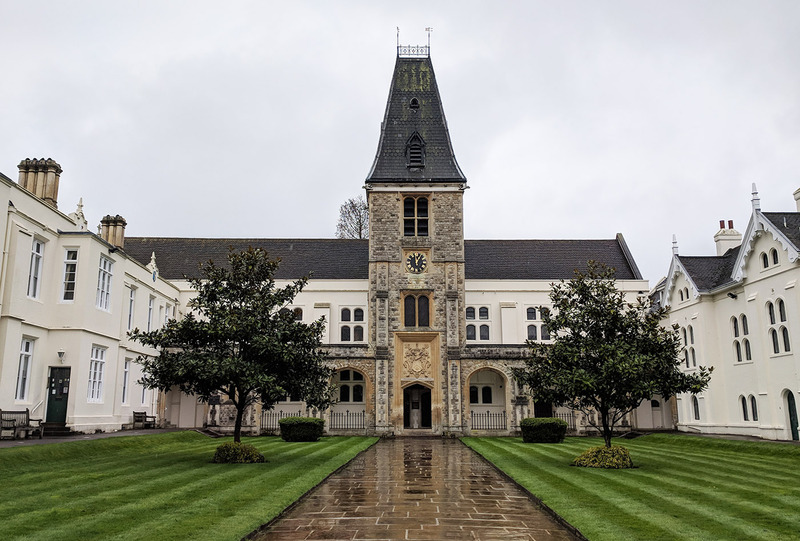 Dulwich is relatively close – just a short bus ride away – so I hopped over there for a morning with Ian. Even though it was chucking it down, I loved the quaintness of the area. You really don’t feel like you’re in London at all! I can’t wait to head back when the weather’s nicer with some friends and a picnic! I know, I know… But come on, just look at that face. He is such a dream boat. Every week I’m going to be showcasing a blog that’s caught my eye! This week it’s the turn of April Everyday, a blog all about April’s adventures across the UK and further afield. She loves cooking and cats, and she’s currently in the process of converting a van into a campervan so that she and her partner can take cheaper breaks around the UK and Europe. Living. The. Dream. I absolutely adore April’s stunningly clean blog, complete with gorgeous photos and a mix of topics to sink your teeth into over a cup of tea. That’s what I’ve been loving this week! What’s been on your radar?